A quick tour through my reading of 2009. 2666 is a difficult book. Its length, its voice and its intention. At times I am unclear, at others there’s a breakthrough and I begin to understand. Bolano’s view of the world is so unique that it’s often very difficult to keep in step with him. Reading 2666 is often like examining the world, as we all do, up close. Like Bolano, we need to take a step or two back in order to take in the whole view. And sometimes it’s hard to remove the blinkers. The Kindly Ones was rewarded with the attention that it ruthlessly demanded from me. But it wasn’t easy. It’s an absorbing book, but also an infuriating one. At times depressing, and rarely uplifting, but one revealing talent in the author, and one stretching the reader. In my case, almost to the limit – the most demanding book I’ve ever read. But I’ve never said that good literature shouldn’t be difficult. If you are a real reader – and I think you are – there’s no option but to try this. It was certainly a challenge I am pleased to have faced. Less demanding than The Kindly Ones but still requiring total attention from the reader was the much discussed Wolf Hall by Hilary Mantel. Her study of Thomas Cromwell was a fascinating and well written, albeit often infuriatingly slow, read. Less demanding still, Stephen King’s thoughtful Duma Key has kept me occupied during December. The stir this novel is causing is well deserved; it’s one of the best British novels I’ve read for years. Certainly there with Jonathan Coe and Nick Hornby on top form, and a book I was expecting to be a lightweight read has proved to be one of extraordinary depth and quality. Other highlights of 2009 include eventually getting round to Diary of a Nobody by George and Weedon Grossmith. 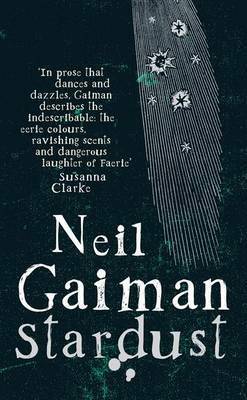 Breath by Tim Winton was perfect reading whilst on an Australian holiday, The Slap by Christos Tsiolkas was depressing but brilliantly written, and there’s my obligatory Neil Gaiman choice Startdust. And although I only managed to pick up two non fiction books this year, Gig by Simon Armitage and The Songlines by Bruce Chatwin are both highly recommended. The Little Stranger was my introduction to Sarah Waters, and I have come away very impressed. Her latest novel is a brilliantly written study of the shifting changes in the English post-war class system. It is beautifully paced, full of subtle observations and quite simply a pleasure to read. It is also one of the most effective, chilling and original ghost stories I have read for some time. I finished The Little Stranger a few days ago but, still thinking it through, I have been unable to start a new book. Some critics were lukewarm in their reaction to The Little Stranger, thinking it wasn’t on par with her previous fiction. This inspired me to read some of her other novels atlhough strangely, following two attempts, I was unable to get through The Night Watch. After finishing the Red Riding series I was still confused, but rather that Peace not giving all of the answers I do think they are there; it’s just that he makes the conclusion and his smattering of clues hard for the reader. This is a difficult and exhausting body of work to take on but ultimately a very satisfying one. It’s bold and challenging crime fiction. You’ll really read nothing else like it. David Peace was much heralded in the early part of 2009, although the publication of Tokyo: Year Zero saw the beginning of the Peace backlash. I have to agree that the second part of the Tokyo Trilogy was a shocking disappointment, and the reviewers who called him Britain’s greatest writer now no longer mention him at all. A shame but, like them, I’ll be looking for new authors to rave about in 2010. 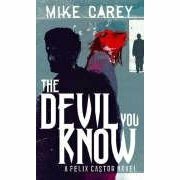 The Devil you Know is my first foray into the world of Felix Castor, the opening novel in Mike Carey’s successful horror series. The book was partly a success for me; I liked it enough to buy the second instalment of the series, although I’m holding back on the decision to invest in all five. Carey mixes a noirish thriller with the supernatural, where an alternative London is crowded with ghosts, zombies and loup garous, which are a sort of animal-spirit hybrid. The Devil you Know has a stunning plot, which involves exorcist for hire Castor investigating the haunting of a document archive in London. Particularly effective is the novel’s opening, where Castor reveals a ghost at a children’s birthday party. It’s a well written and suitably creepy piece that wouls stand up on its own as a great short story. What lets the book down is both its length (200 odd pages of this sort of thing is great, 470 is far too much) and Castor-as-narrator with his often clichéd and grating style which can make Sam Spade sound like he’s giving a Shakespeare soliloquy. And what disturbs the most is that the living characters are as unconvincing as the dead in this novel; villains are pantomime drawn, and Castor’s associates don’t really stick in the mind. That Mike Carey has written five Castor novels suggests that he’s doing something right. However The Devil you Know comes across as very hurriedly written, and this author does appear to bash his books out. There are some great ideas though, such as Castor’s talent for sniffing out the ghosts he’s called upon to destroy, and at times this novel is genuinely and satisfyingly scary, but Carey needs to ditch some of the well worn scenarios that appear to be grafted on for effect – for example the Dr Lektorish prisoner that Castor calls on for a chat, which didn’t add anything to the book for me. But if you like literary ghosts, then the one haunting the central story of the book will probably satisfy you. Her plight is creepy, sad and well thought out. Shall I move onto the second instalmant Vicious Circle? Oh, go on then. As tradition dictates that I indulge in a ghost story or two every October I thought it fitting that I picked up Audrey Niffenegger’s Her Fearful Symmetry. The novel has had some lukewarm reviews (and a particularly scathing one from The Guardian). It certainly isn’t perfect, and is nowhere in the same league as this year’s great spooky tale The Little Stranger by Sarah Waters. And although I did find it a struggle at times, the book held me quite firmly in its final chapters and delivered a particularly satisfying ending. Niffenegger’s premise is fairly preposterous, where a dying woman decides to leave her flat to a pair of twins – the daughters of her estranged sister. If this is already sounding decidedly gothic there’s more; she’s never met them, the flat overlooks Highgate Cemetery and – when the twins arrive from America to claim their inheritance – their benefactor comes back to haunt them. This is a novel that has to be taken with large pinches of salt. But after The Time Traveller’s Wife this should be no surprise. The reason why Her Fearful Symmetry is a tricky read has a lot to do with Niffenegger’s uninspired characterisations. Elspeth, our ghost, isn’t particularly likeable. Nor is her grieving partner Robert. The twins, Valentina and Julia, are faceless and quite indistinguishable from eachother, although as pages are turned the reason for their almost total similarity becomes apparent as part of the author’s masterplan based around themes of duality and exchange. The fifth major character is Martin, a neighbour suffering from acute OCD and trapped in his flat. We notices similarities with Elspeth, the spirit who cannot leave her own former home. Much of the novel’s criticisms are aimed at Niffenegger making the mechanics of her novel too obvious. She is a skilled writer though not an artful one, and some of her tricks are too creaky. For example, she introduces an underaker who just happens to be a dab hand at dentistry – just to sneak him into the plot. In the same way she introduces a ghostly cat. Elsewhere she’s content to tell us things rather than show us things – we’re told that Valentina is suicidal because it helps with the plot progression. There is no real evidence that she is feeling this way at all. If it is true that all great writers show and don’t tell, then Audrey Niffenegger is far from a great writer. Without giving anything away it is safe to say the Her Fearful Symmetry consists of three twists. The first is very obvious, whilst the second caught me off guard possibly because I wasn’t really paying attention. However, the third revelation – which happens on the final page – did suprise me completely. It’s a very strange ending, and – like The Little Stranger – an ambiguous one, which saves the book at the eleventh hour. Worth staying with so ignore the bad reviews. But don’t expect a masterpiece.